One Momma Saving Money: Book Lover Tees - Ships for $17.48! Book Lover Tees - Ships for $17.48! Shipping: $3.49 for the first item and $1.49 for each additional item. US only. Estimated to ship by Friday, Apr 12. 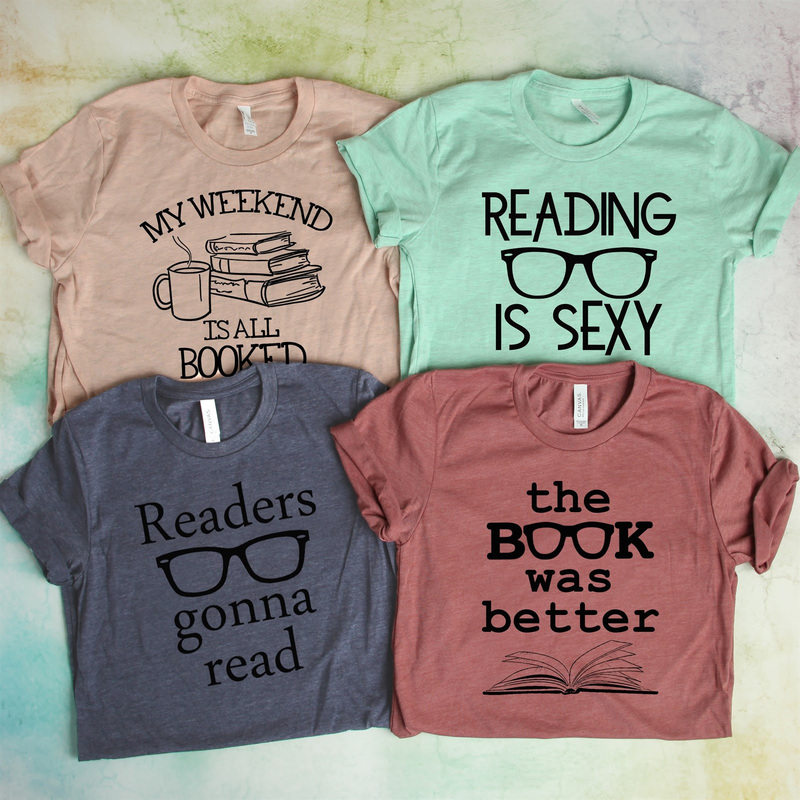 Attention book lovers --- we have the best tees for you! 7 Different designs on 11 different color tee options. Pair your tee with a flannel, some comfy leggings, and boots and you are ready to go... to the library. Please Note: All tees are a UNISEX fit, so they are comfy, loose and a little longer than your typical girly tee. The tees are made of 4.2 ounces ring-spun cotton, so they are lightweight and soft.